Fun And Yummy Instagram Cookies Slice & Bake! For people who are not blessed with cooking talents or have a busy study/work schedule, food after a long day means take-out. And take-out mostly means Chinese food. It is hard to resist those stir-fried and deep-fried goodies that come packed in paper boxes to silence our rumbling tummies. Although they are an easy answer to hunger pangs, take-out Chinese food is not always the healthiest option. So, to help you lead a healthier life we have 2 healthy Chinese food recipes for you to try and to make an attempt at cutting back on the take-outs. Even if you lack super-chef talents, these healthy Chinese food recipes are a great way to get started. • Broccoli florets, 1 pound. • Unsalted roasted peanuts, 2 tablespoons. • Red chili flakes, ¼ teaspoon. • Red bell pepper, 1 sliced. • Vegetable oil, 2 tablespoons. • Salt and black pepper to taste. • Heat 1 tablespoon vegetable oil in a pan and add red bell peppers to it. Season it with salt and black pepper and stir-fry until crisp-tender. Take off heat and transfer to a plate. • Heat the remaining vegetable oil in the same pan and add chili flakes to it. Stir for a few seconds and add broccoli to it. Season with salt and black pepper to taste and ¼ cup water. 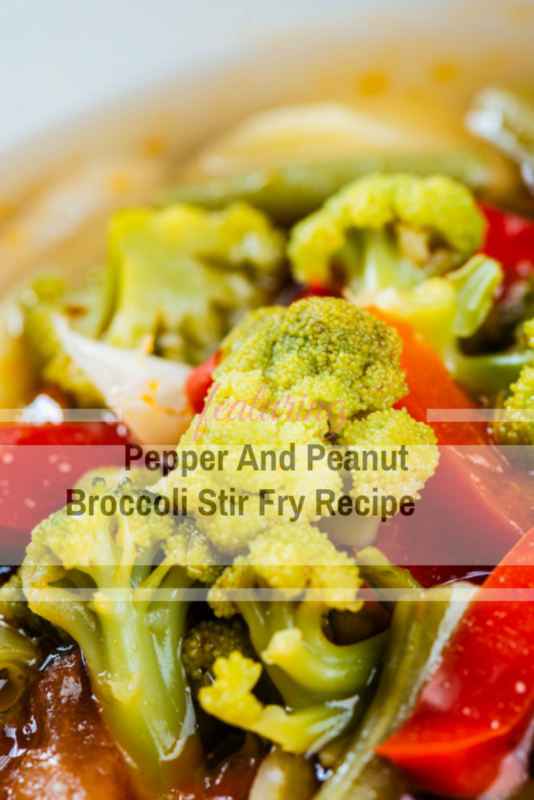 Cover the pan and let it cook on medium heat until the water dries and the broccoli is lightly browned or crisp-tender. • Add in the stir-fried red bell peppers and season with salt and pepper. Give it a good toss and its ready! Crunchy, spicy and stir-fried, what’s not to love about this recipe?